The All Blacks may have sewn up their 17th Tri-Nations/Rugby Championship title with a comfortable victory over the Pumas, but the Test in Pretoria on Saturday is by no means a dead-rubber. The contest, in front of a capacity crowd, is one I’m really looking forward to particularly off the back of Wellington. The 97th meeting between the two traditional foes at Loftus offers a final opportunity to lay down a marker. 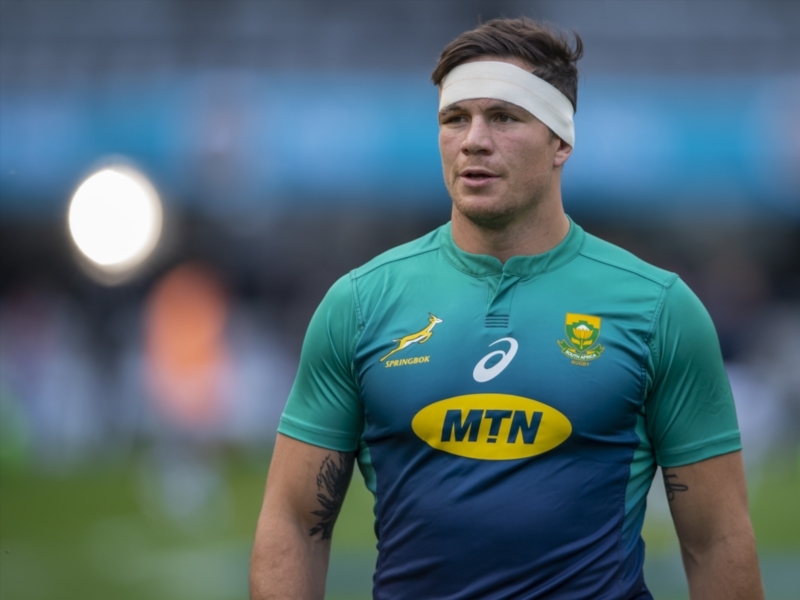 Make no mistake – it’s an incredibly important Test for Rassie Erasmus and his charges to maintain consistency with regards to performance. Meanwhile, for Steve Hansen’s troops, it will be about delivering a reaction, having suffered a shock loss in New Zealand’s capital three weeks ago. 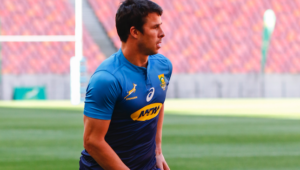 The recall of Louw, who plays towards the ball, points to the fact that the Springboks will continue their offensive at the breakdown. Last Saturday in Port Elizabeth, South Africa were highly effective at the breakdown and tackle area. They made it a living nightmare for the Australians and they clearly went in with the intent to be aggressive and really make it a bunfight around that area. Louw is very much in the George Smith mould. Like Smith, Louw has learned the shortcuts so to speak and picks his battles when contesting for the ball on the floor. The more you do something, the more you become conditioned to it. Tactically speaking, Louw, 33, is able to anticipate things before they happen on the field and that is where he adds tremendous value. Physically, he is never going to be the player he was 10 years ago, but his quickness of mind and street savvy, having been around the block and back, ensures that he is the perfect back-row foil for Siya Kolisi and Pieter-Steph du Toit. In terms of the breakdown battle, the Boks will go into the game with an initial plan, but they will amend their tactics as they see fit. It’s essential to keep as many All Blacks as possible busy at the breakdown but, at the same time, you don’t want to commit too many numbers and shoot yourself in the foot out wide. The main difference between the All Blacks and the chasing pack is that when an opportunity arises on attack, 90% of the time they will take it. The All Blacks are going to have a huge point to prove, having had their unbeaten home record snapped for the first time since 2009. The men in black will want to come out and really punish the Springboks for the result in Wellington. However, there is a new air of confidence within the Springbok squad, which is slowly building and I’m hoping they will carry that through in front of a partisan Pretoria crowd. I was fortunate enough to have faced the All Blacks in South Africa on one occasion in 2002. 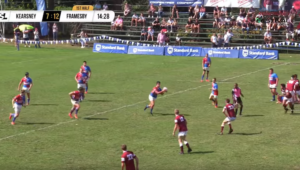 The Tri-Nations match will be remembered for the infamous Piet van Zyl incident. A scrum was being set and I recall him brushing past my shoulder. I didn’t quite know what was going on at that stage, but it was a surreal moment when he tackled referee Dave McHugh. Van Zyl got punched by AJ Venter and Richie McCaw and he was then dragged off the field. It was a strange affair and hopefully, there won’t be a repeat of it this Saturday. It’s a moment that will never be forgotten in South African rugby for the wrong reasons. I’m anticipating the rematch between the Springboks and All Blacks to be remembered for the right reasons. A fascinating match-up awaits us, with two teams employing different strategies. With less territory, possession and more tackles made in their last two Tests, the Boks are going against the grain. A decade ago, owing to the laws, it was better for defence-orientated teams, but the landscape has changed and the general rule of thumb is that the more you have the ball, the more chance you have of succeeding. However, at the moment the Springboks are equally at home on defence as on attack. In spite of only having 25% possession and 21% territory, they registered five tries against the All Blacks in Wellington, which says a heck of a lot about what the Boks are doing with minimal ball.